I saw that post on 4chan. Can anyone tell me if any of these are translated? I don't really want to download them unless they are. (Running out of space on my HD) Thanks alot!! Thanks! for Raw. download now. I was a bit hesitant to post this doujin here at first since it's not really a NxF one but it may interest some people. This doujin was posted by Tehen, the artist, on his website. MediaFire link : Toppatsuteki-The unexpected lyrical manga by Tehen (NSFW but censored). 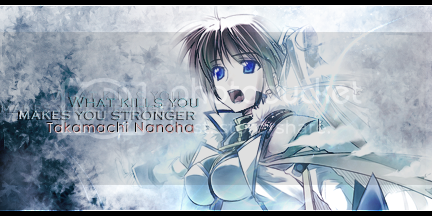 I like Nanoha's way of dealing with Fate's anguish XD. Wow that was...interesting ^^" i cant speak jap but i could tell what was going on hehe that was somthing new! Thanks for sharing! A delicious surprise I stumbled over today while lurking on Pixiv. Sorry for being lazy and not uploading it. I think it means "Hazukashii" ("Ashamed") in english but I may be wrong. I think I'll got for "Hazukashii" for the title then. Thanks a lot! The translation of "恥ずかしい" is "so embarrassing". Thanks. Still I can't help but wonder what the hell that was... time travel?Or a dream? Well it would be nice to have this one translated. Btw jpg mediafire rar is damaged - it gives me error at page 13. Ok,thanks, however, the .jpg has japanese characters, so what probably is happening is your version of WinRAR is choking. Try using 7zip and see if it works... 7zip is freeware under the gnu license and is (in my opinion) actually better compression software than either winzip or winRAR. If it still is borked using 7zip, let me know and I'll re-up it. Nice doujin, thanks for the raw ! Thanks for sharing your scans here Ichigo! 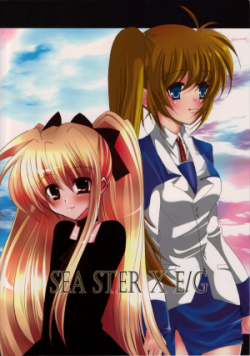 A young Hayate + Signum adult doujin. Thanks a lot for sharing the link conansecond, otherwise I would have missed this. Nanoha is such a pervert in this doujin. summary: Relate to 'Santa Sangre' doujinshi. 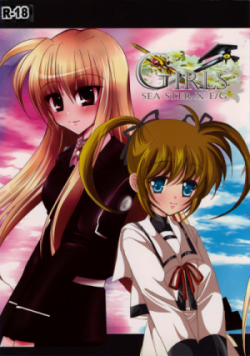 Nanoha and Fate shared their first night after reunion. Thanks a lot for sharing! I have no idea that this artist made a continuation to Santa Sangrek, and much less that he made H-doujins, but it looks great. The raw quality is not very good, it can't get much better when the images are camera photos, but the pages are sharp and even of they can hardly be used for scanlation, they are nice to have a look at the doujin, and also most of the text seems to be readable. If someday we get scans of this doujin maybe we can translate it to have the continuation of this story. Thanks for this! I'm a fan of tribbing, but that is sadly lacking in NanoFate stuff, so this doujin is just the thing! Thanks again!